Authentic rustic log homes full of old fashioned charm and comfort. 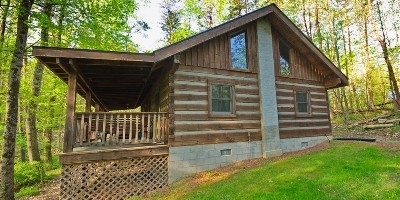 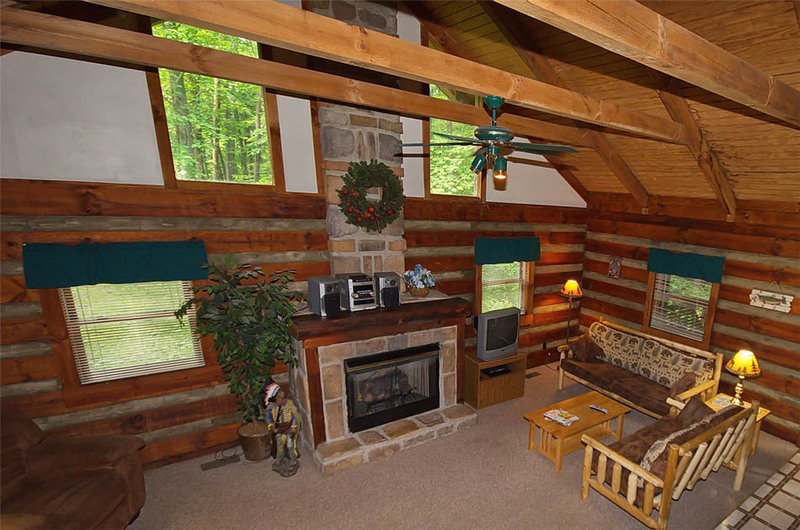 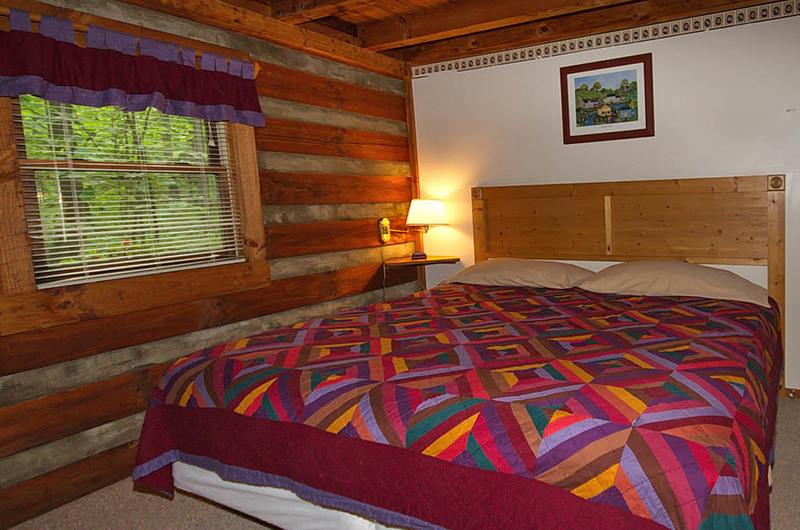 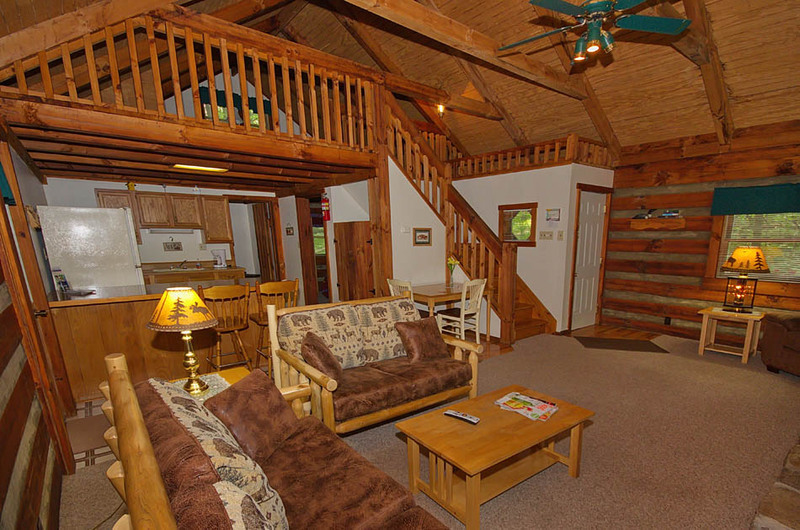 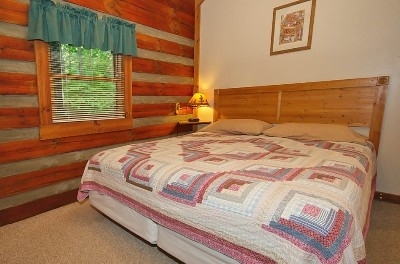 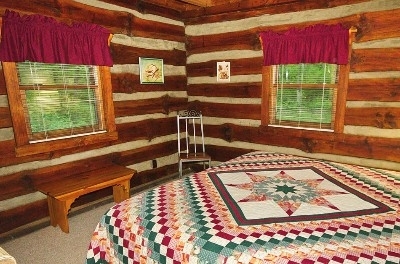 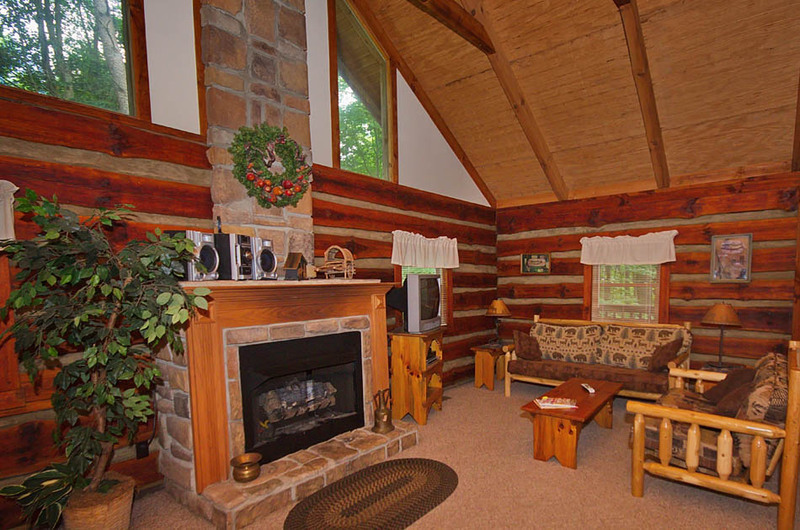 Each log home is nestled in a wooded area that is secluded but easily accessible. 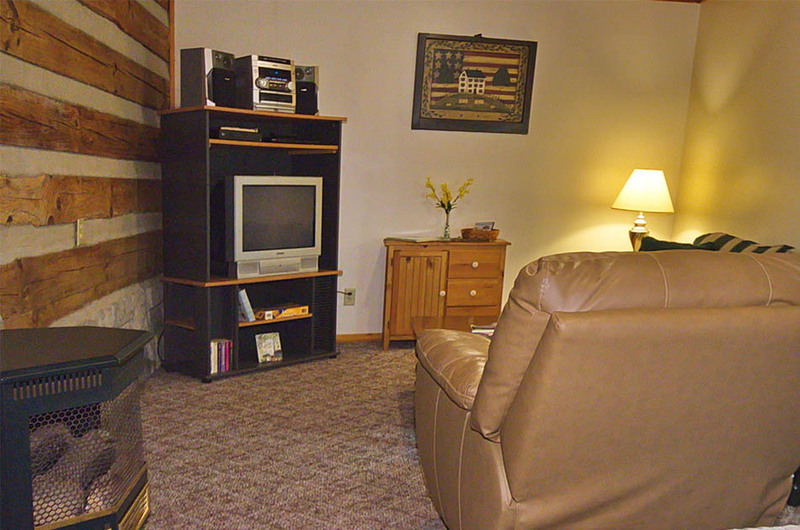 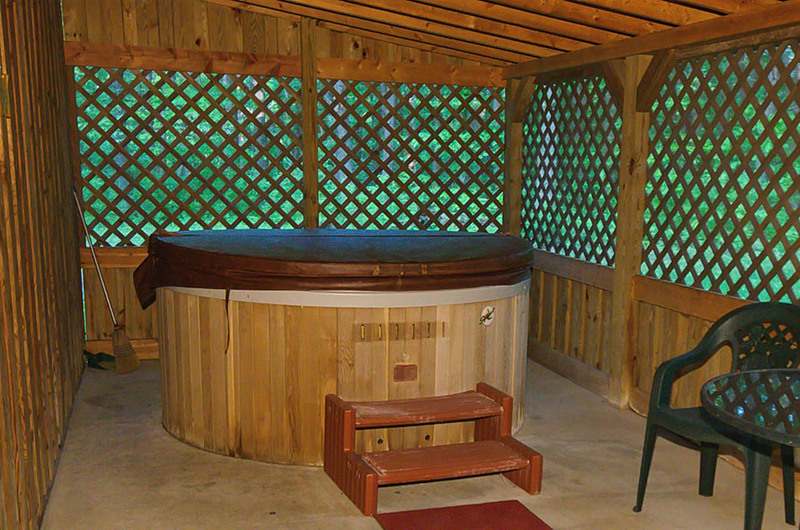 Cabins in the Pines has all modern conveniences hot tub, central heat/AC, TV, VCR and CD player plus stone fireplace with gas logs. 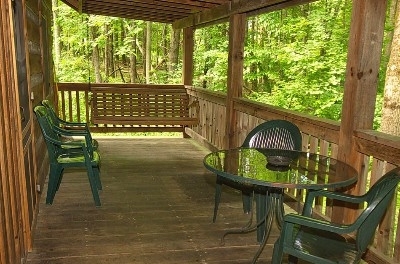 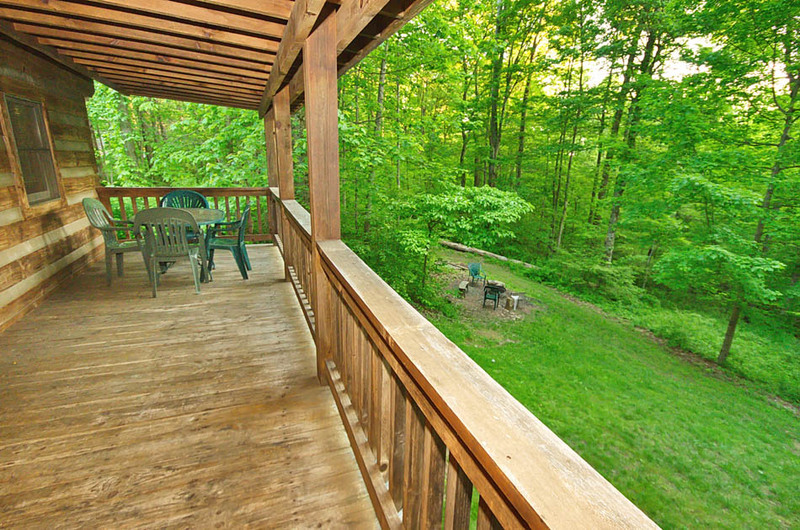 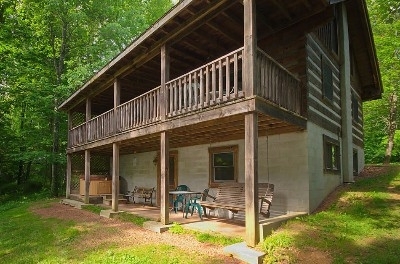 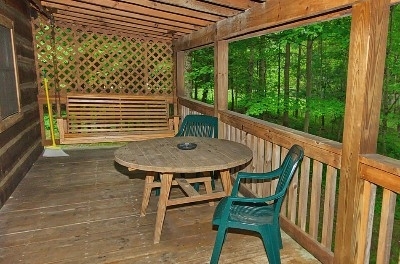 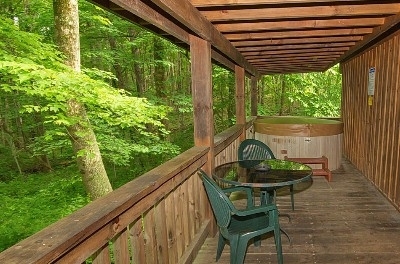 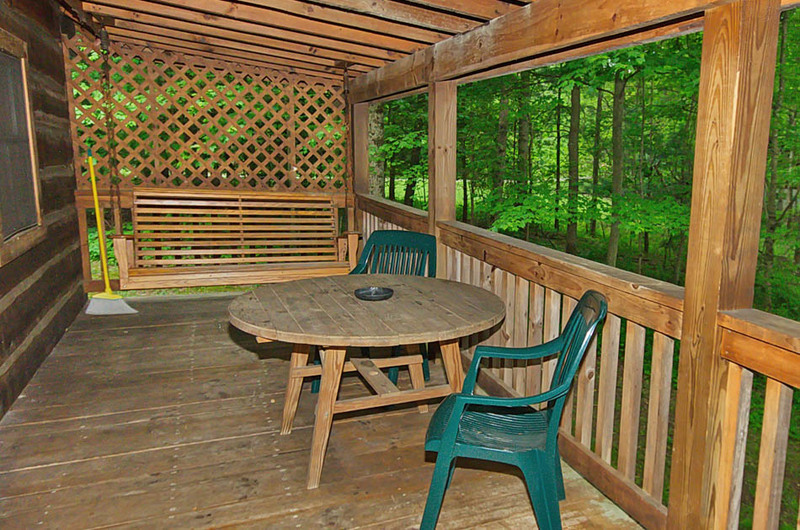 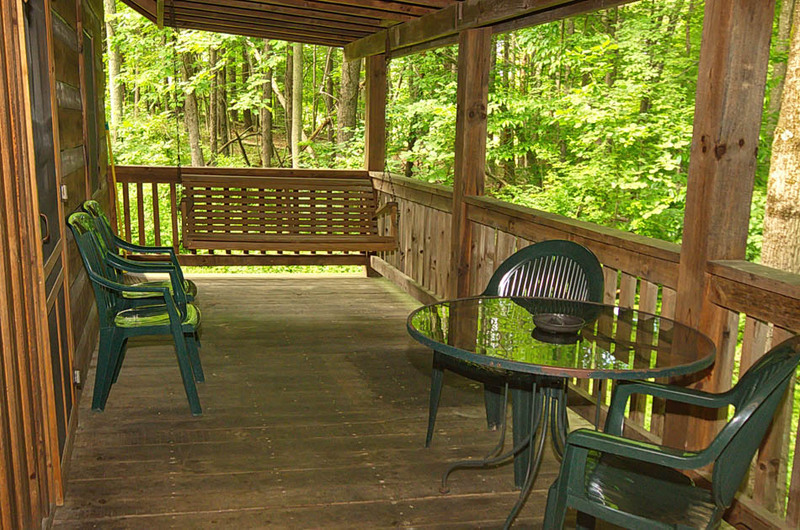 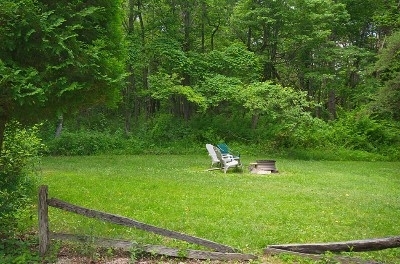 There is a large covered porch overlooking a wooded ravine with gas grill, picnic table, swing and nearby fire ring. 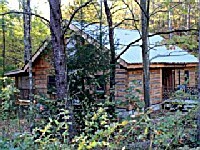 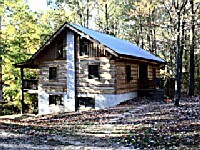 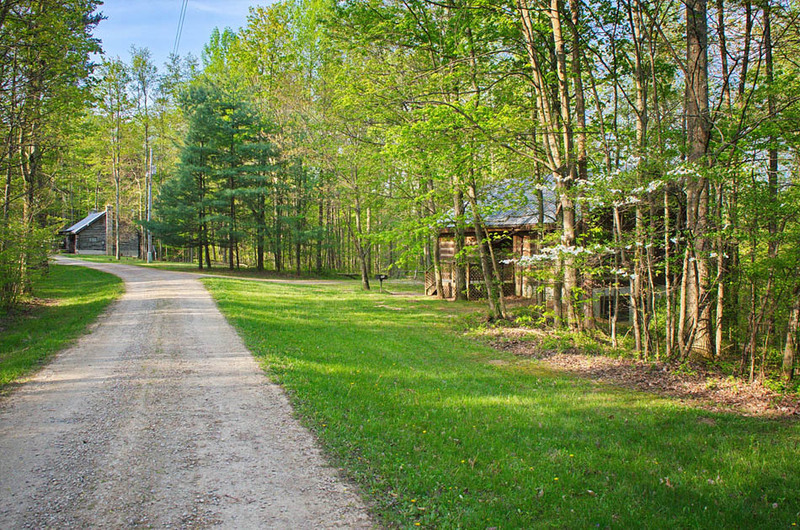 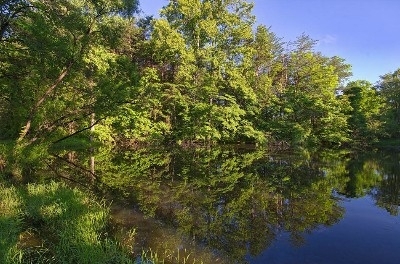 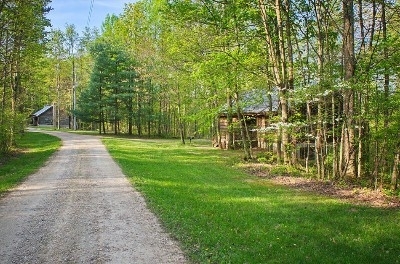 Guests can enjoy private hiking trails on 80 acres leading to the Buckeye Trail and State Forest. 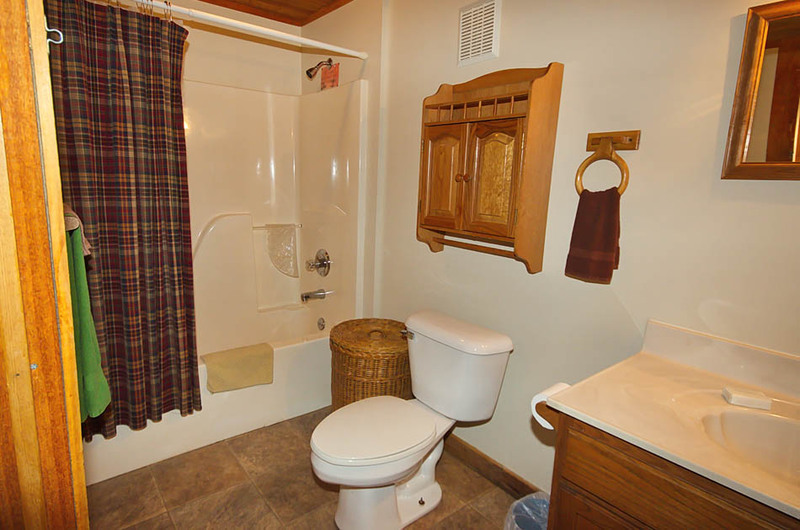 We are proud to have earned the seal of approval from HCHE, based on cleanliness, safety and truth in advertising. 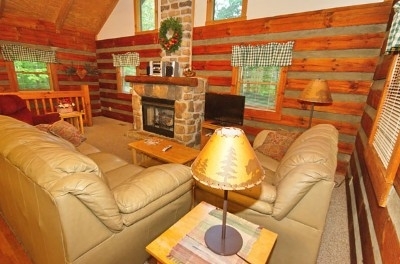 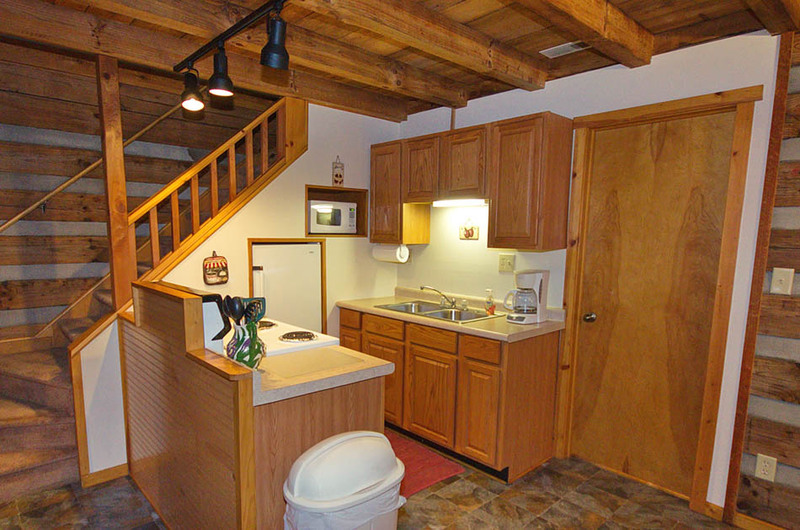 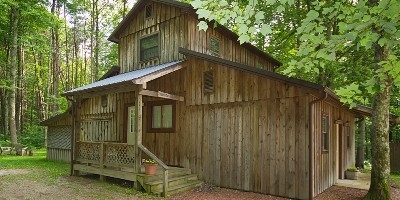 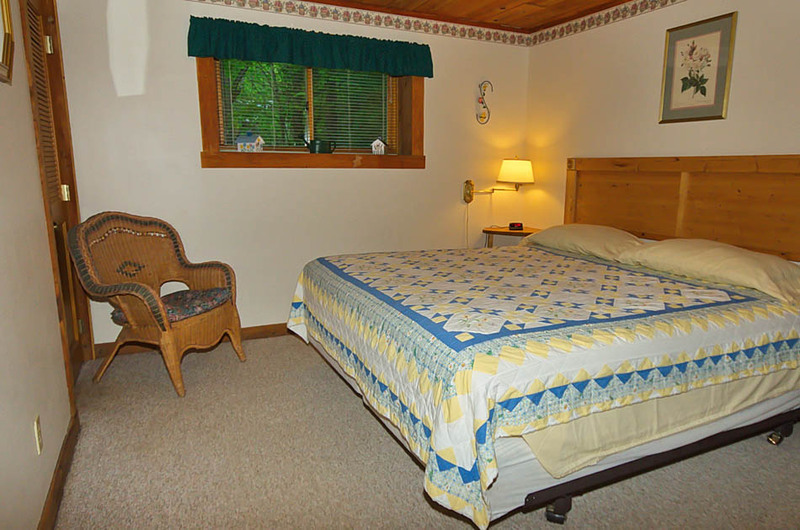 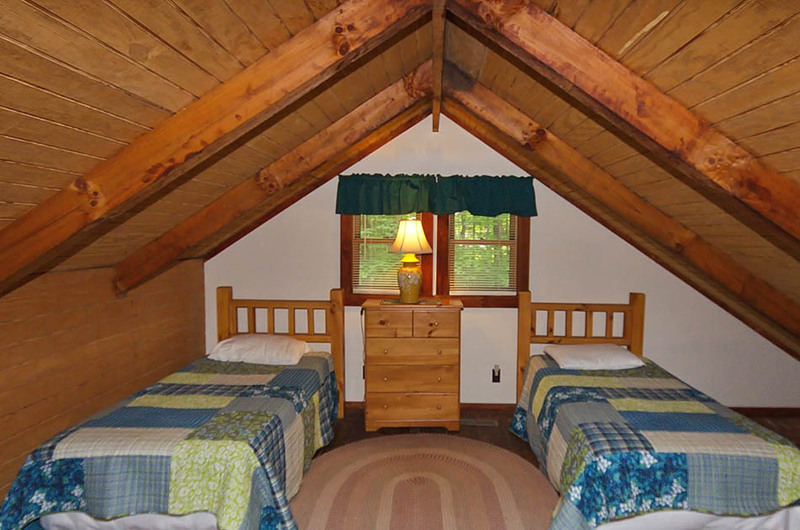 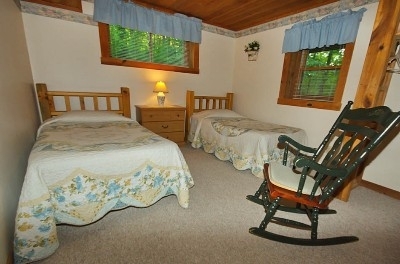 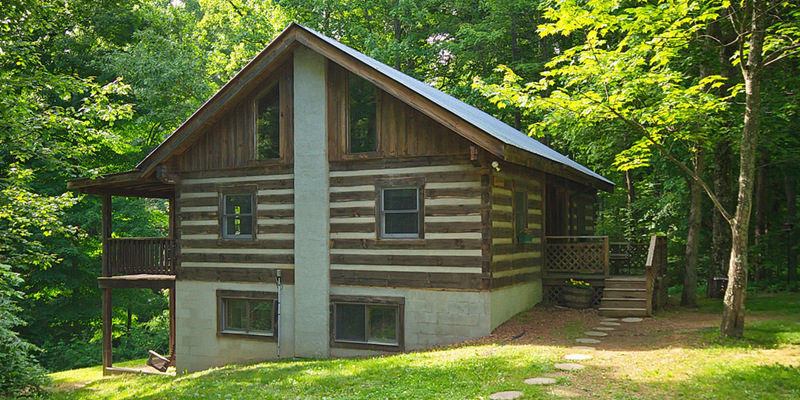 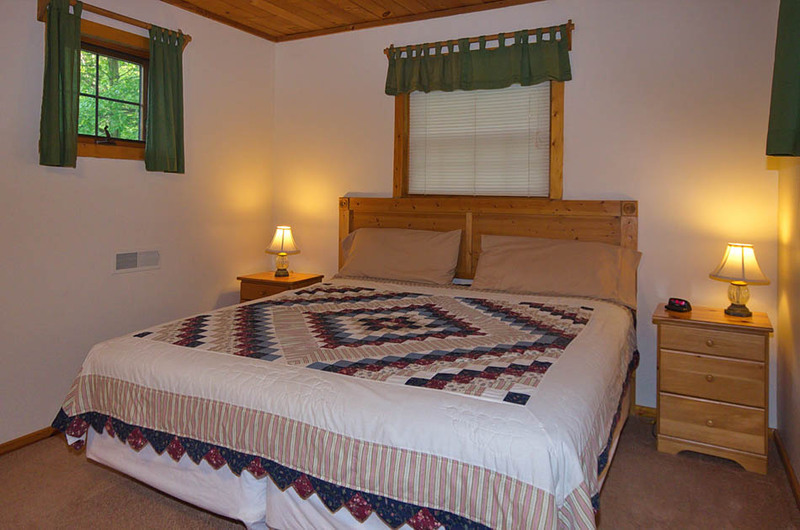 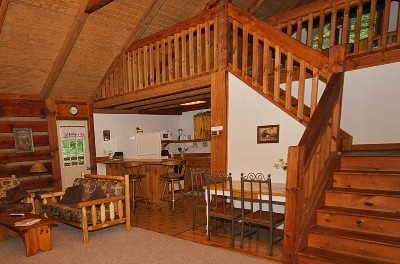 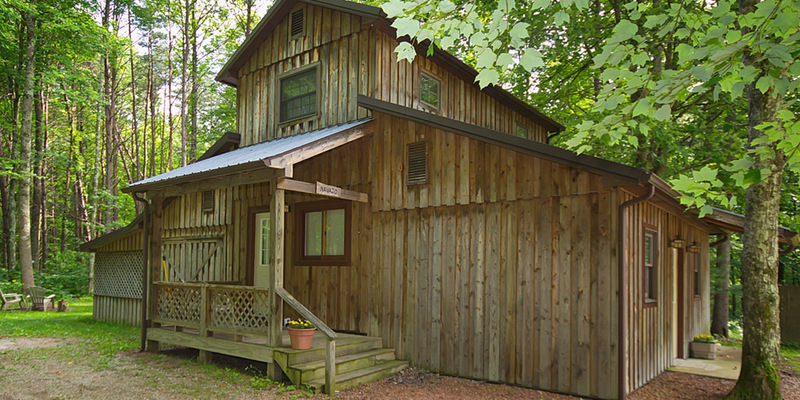 One of our charming 2 bedroom cabins, with a king size master bedroom and 3 single beds in the loft bedroom. 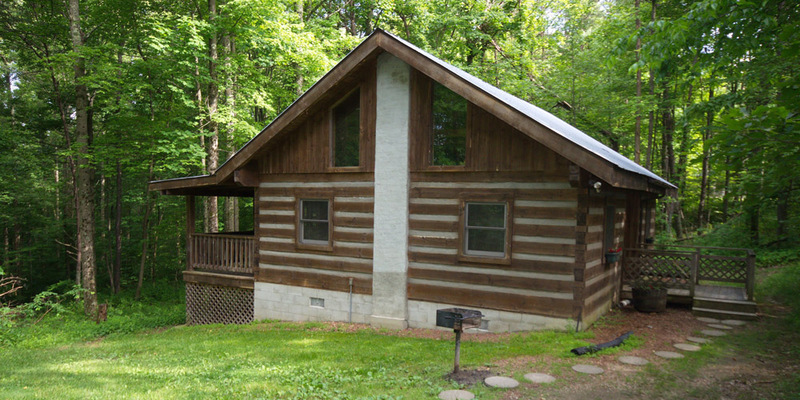 This cabin has a fully equipped kitchen, stone fireplace, new hot tub, fire ring, and gas grill, which add to your comfort and enjoyment. 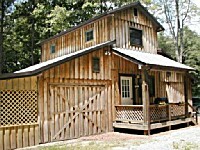 This lovely hand crafted cabin has a king sized master bedroom with 3 single beds in the loft bedroom. The fully equipped kitchen makes meal preparation an ease. 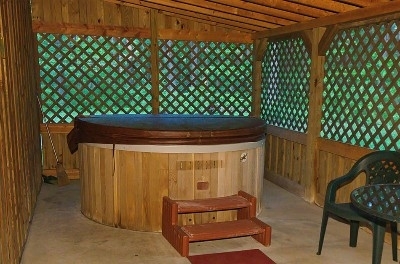 Also included are: stone fireplace, new hot tub, fire ring, gas grill. 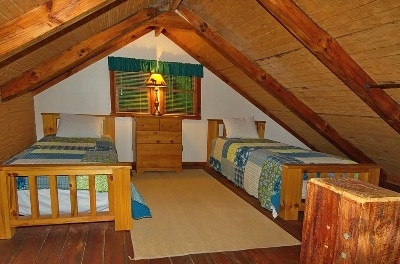 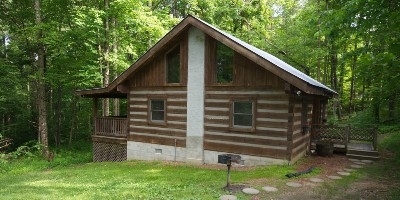 This family-sized cabin has 3 bedrooms,2 with king size beds, 1 with 2 twins, sitting room with futon, pull out sofa. 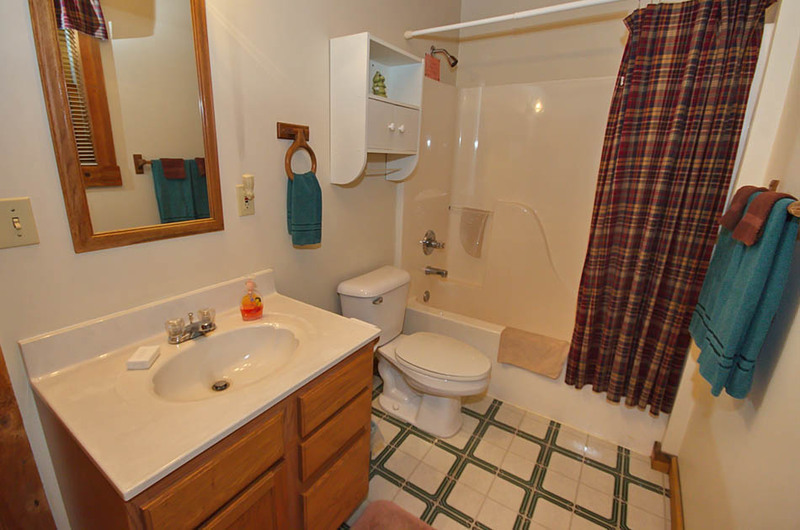 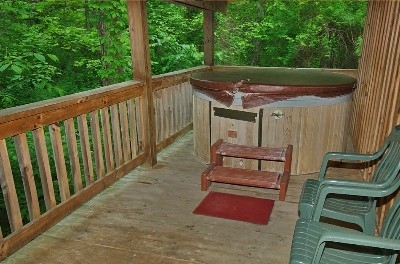 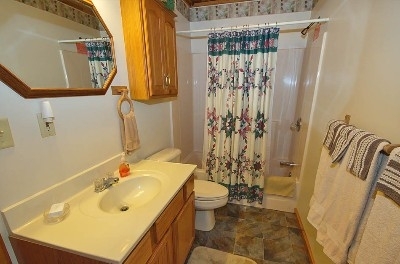 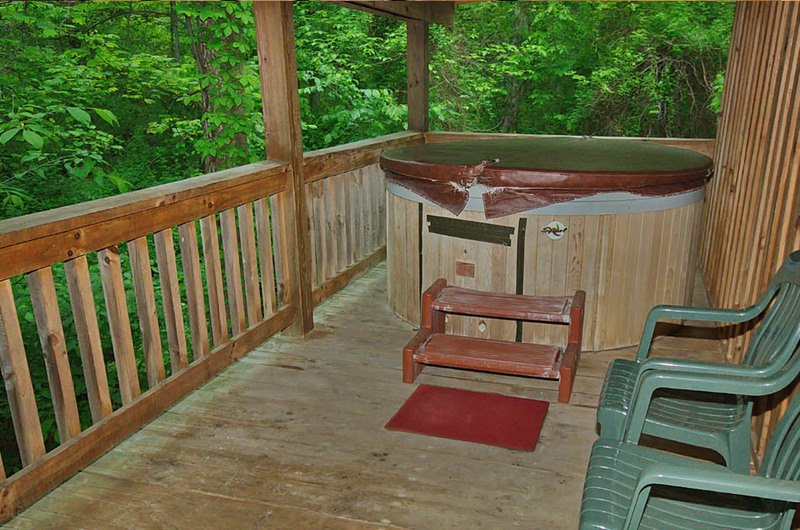 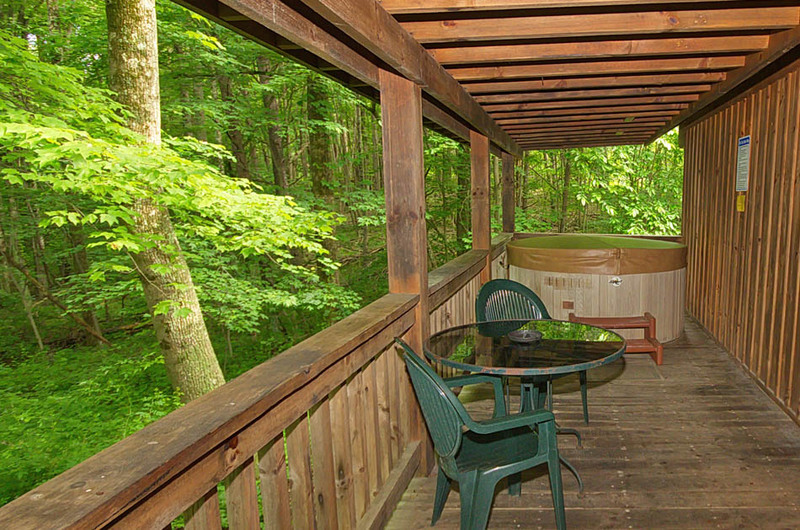 Amenities include: 2 baths, dishwasher, satellite TV, VCR, stone fireplace and new hot tub. 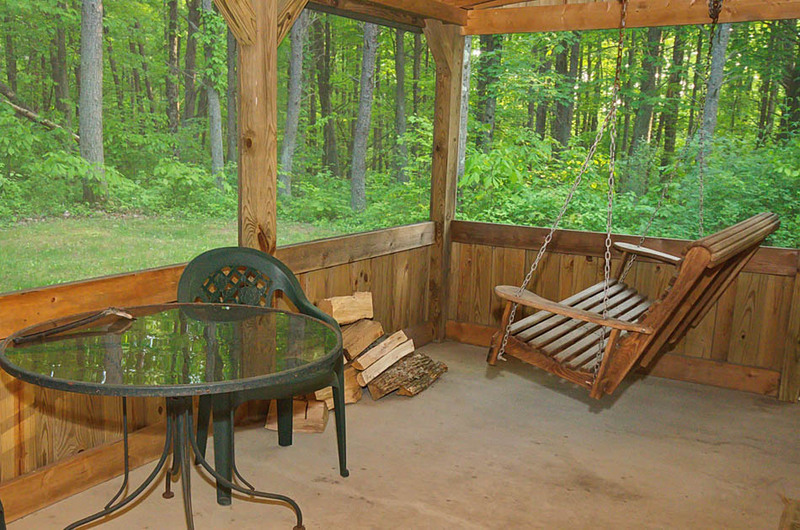 Enjoy nature from the porch swing. 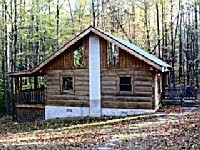 Our newest 1 bedroom cabin featuring a covered/screened in porch with hot tub, porch swing and picnic table. 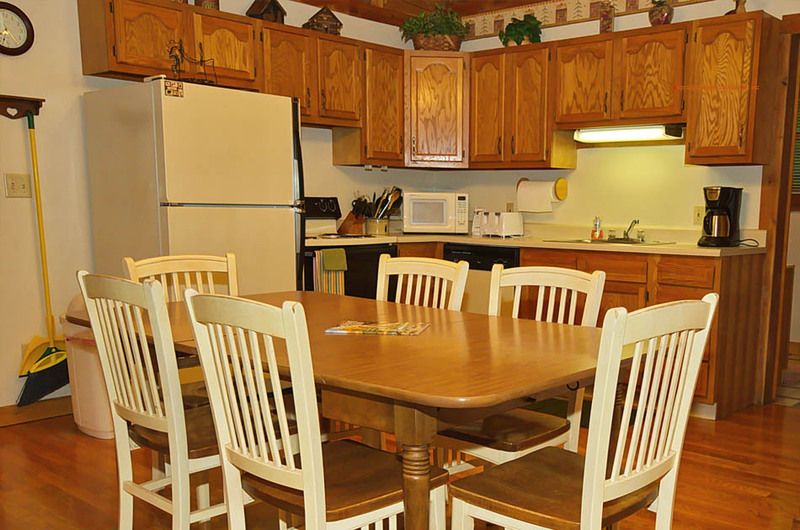 Fully equipped kitchen, full bath w/tub shower.Living room with sofa, recliner and futon, stove with gas logs. King size bed. 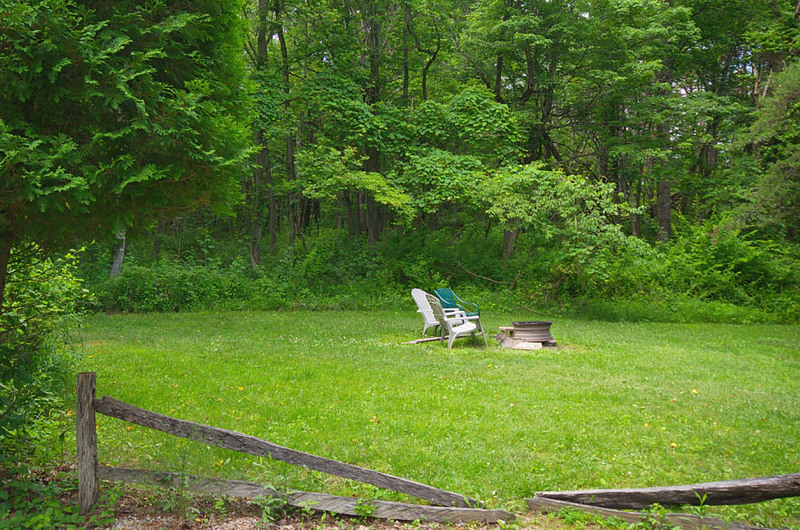 Gas grill.